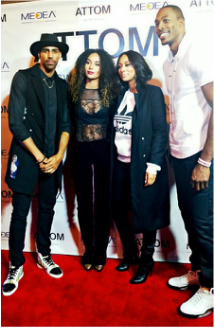 The grand opening of Attom, a high-end fashion boutique for men, on Friday, November 11, marked another accomplishment for the Atlanta Hawks’ forward, Thabo Sefolosha. 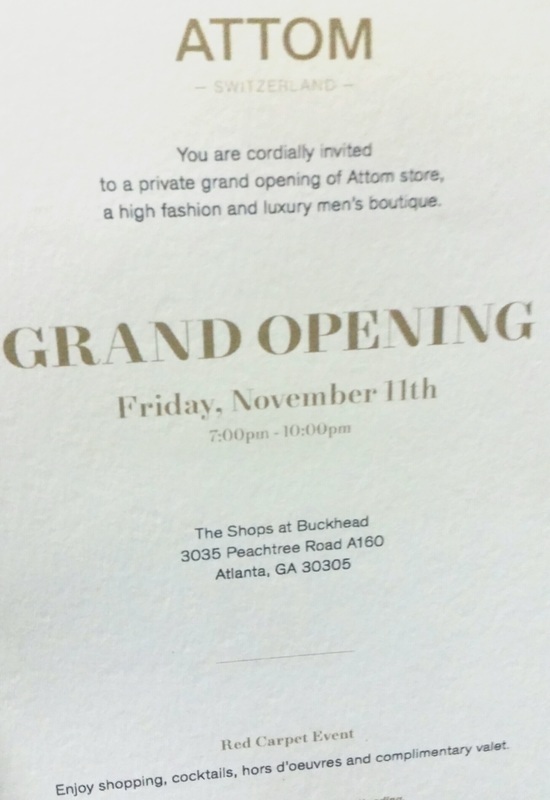 He and his wife, Bertille, teamed up with Zola Dias to bring the Attom Concept shop to Atlanta. Not only is Thabo off to a great start for the season, coming in at second in the league with 2.6 steals per game, but he is also making his mark in fashion retail. While the idea of opening Attom dates back to 2015, when fellow Switzerland natives Thabo, Bertille and Zola decided to bring this boutique to the Atlanta area, Thabo gives much credit to Bertille and Zola for making everything come to light and work like a well-oiled machine this past summer. Bertille, who received her master’s degree in international business, has her hand in everything dealing with the boutique, from the design to most recently the financial aspect. She, Zola and Thabo have chosen the pieces that fill out the boutique, located at a popular corner of The Shops Buckhead. From Balmain to Louis XVI, patrons can shop exclusively for a unique head-to-toe look. When guests arrived at the opening, they received a wristband and were graciously welcomed to the red carpet event. Bertille happily greeted everyone and showed them to a backdrop where Thabo awaited them for a photo opportunity. Before walking into the shop, guests were able to delight in hors d'oeuvres and drinks. DJ Grace Lamour spun the hottest tracks all night as an array of guests browsed and bought from the designer shirts, shoes, jackets, and more which lined the store’s walls. 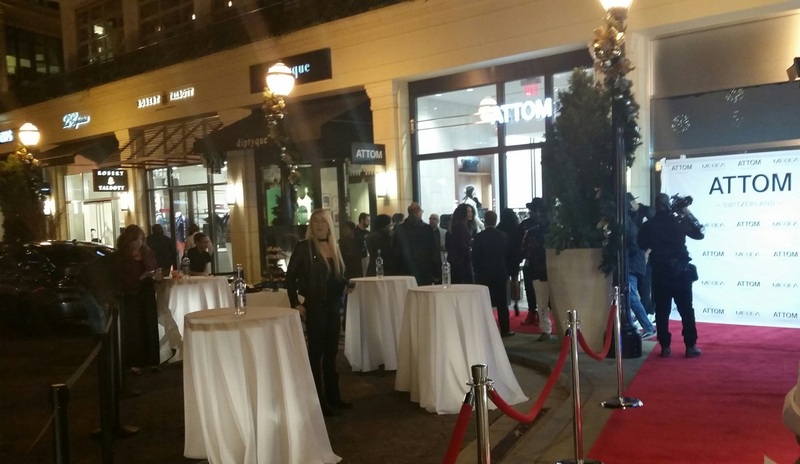 Store stylists and associates treated each guest with a smile and attention that ensured they were all aware that they were the VIPs of the event. Many of Thabo’s teammates showed up to shop and support him including: DeAndre’ Bembry, Malcolm Delaney, Dwight Howard, Kris Humphries, Ryan Kelly, Taurean Prince, and Dennis Schröder. Celebrities such as Yung Joc and Keri Hilson were also in attendance, as well as local business owners and even a designer whose work is featured in the shop. Bertille, who has a vast amount of experience in the fashion industry, has attended Fashion Week in Paris, modeled, and worked with Oklahoma City Fashion Week while Thabo played for the Thunder. She completed extensive research regarding fashion retail and found that men’s fashion is a niche that has yet to be explored thoroughly in the United States. 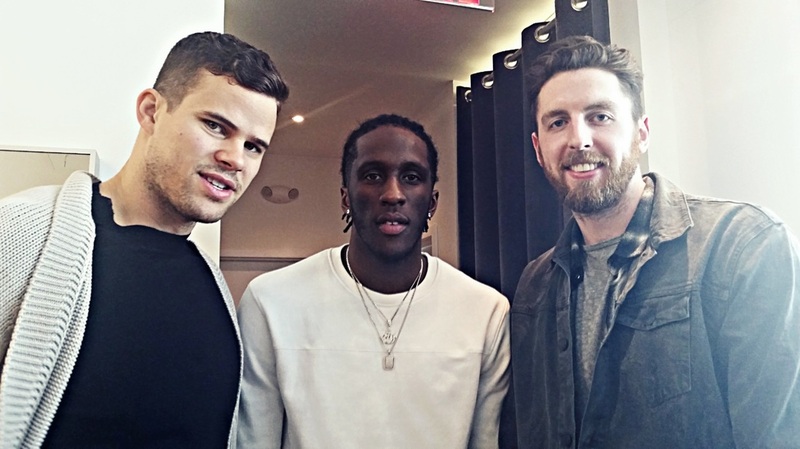 Zola noted that men’s boutiques are popular in Europe but have yet to really take off here. While Attom is still very new to the scene, don’t be surprised if other locations begin appearing in other major U.S. cities, “as soon as this one [in Atlanta] is set, we will think about the next location,” Bertille remarked regarding expanding.